CiCiMobile gives you 2 simple and easy ways to make long distance calls! 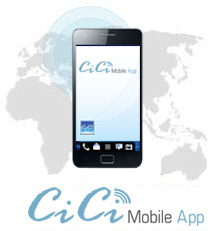 Launch the CiCiMobile application from your Android™ phone. Verify that your settings for Call Method are set to Call back. Select the destination from your phone book or dial the number then press the “call” button. Once you receive the call back, answer your phone, listen for the announcements, and wait for your call to connect. NOTE: It is important to answer each call back request even if you no longer wish to complete the call. Verify that your settings for Call Method are set to Direct Dial. Select the destination from your contacts OR dial the number and press “Call”. You will be directed to the dial pad showing the call being dialed. You will hear the destination number ringing and then get connected. With Direct Dial you no longer need to enter any access numbers or PINs. Let us do all the dialing for you. Card Authorization Number: If you have purchased a recharge card from a participating retail location, you may enter the Authorization number here, to add funds to your prepaid balance. Account Details: View your account profile, call and payment history. Configure Account ID: Will return you to the first page of the app in order to log in, create an account or direct you to a link if you forgot your password. Contact Us: Send an email to our Client services with feedback or any issues you may have encountered. 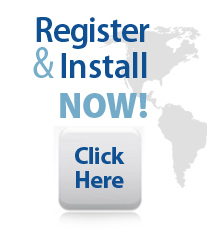 You will also find our 24/7 Customer Service Number. Once you have requested a call back but no longer wish to proceed with it, please be sure to answer the call back request and hang up immediately. If you do not do so, the call will get connected to your voicemail (if you have voicemail feature) and will be deducted from your CiCiMobile prepaid balance for the connection.